Paneer also known as cottage cheese is common in South Asian cuisines that is Indian, Pakistani, Afghani, and Bangladeshi cuisines. It is very easy to make Paneer, since it does not require the use of rennet, no ageing or culturing. It is completely a vegetarian product. It is made by curdling heated milk with lemon juice, vinegar, or any other food acids. Its famously called chhena in eastern india and in Bangladesh. Paneer is a very popular ingredient for curries, particularly in the north. Paneer us a super health food as it is a rich source of calcium, phosphorus, vitamins, minerals and protein which are required by the body in high proportions for healthy growth and development. By the looks of it paneer is white like milk and comes in form of blocks. So now that I have enlightened you about paneer lets move ahead to todays special recipe. 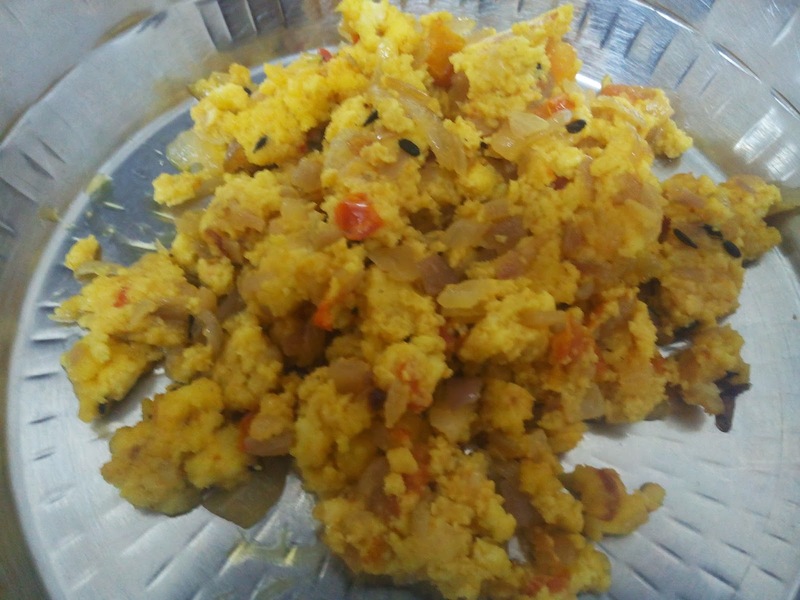 Todays special recipe is paneer bhurjee. What is paneer bhurjee? Does it have egg? 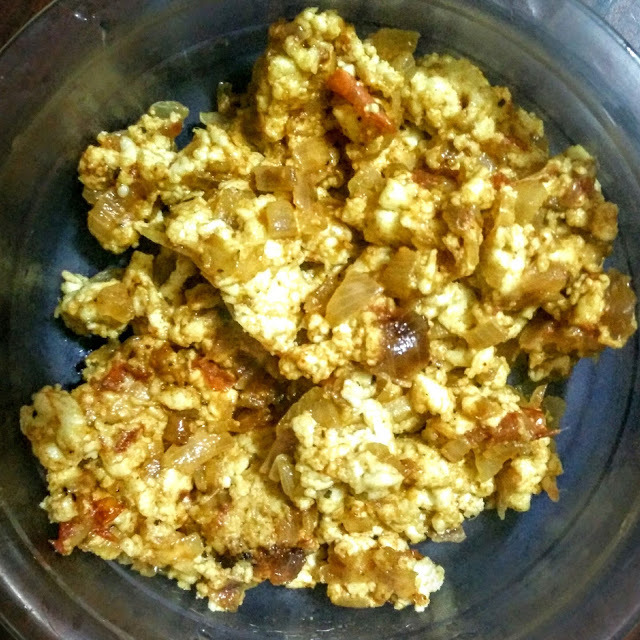 Bhurjee is mostly associated with a dish made using egg. But Paneer bhurjee doesn't contain egg, its a pure vegetarian dish. Bhurjee basically means a crumbled mixture. Paneer bhurjee is a dish prepared using grated or crumbled paneer with a mixture of onions and tomatoes and some awesome masalas. So what do we need to make this awesome paneer bhurjee? We will need a pack of fresh paneer block. A couple of onions, a tomato, ginger garlic paste, couple of chillies, red chilli powder, some chopped coriander. And yes dont forget kitchen king masala its a mix of some of the awesomest spices. How do we prepare this easy paneer bhurjee recipe? Firstly take a frying pan. 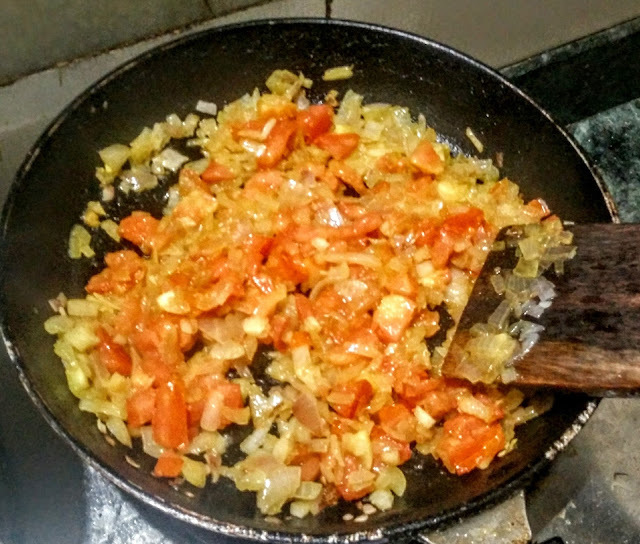 Heat some oil and add the finely chopped onions. Let the onions cook till they are translucent. Now add the diced tomatoes and let them cook till they get soft. Add some turmeric and chilli powder and mix well. Once the oil starts separating add the grated or crumbed paneer and mix well and cook for two minutes. Now add a spoon of kitchen king masala. Your super easy paneer bhurjee is ready to be served.